This is not Saint Kitts. 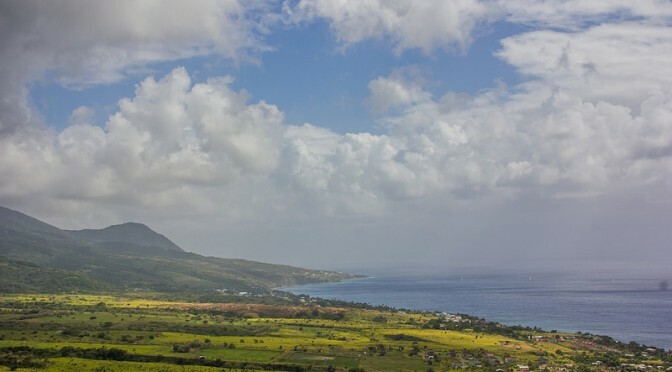 Or, well, I’m sure all of these can be found at Saint Kitts too, but there’s so much more to this island. At first, we were reminded of a past trip to Gambia, and not just because of the ebony skin of locals. The goats that seem to be grazing on every field and inbetween houses, most of the cars at least 15 years old, houses in need of paint and maybe a new roof… but unlike in Gambia, here people didn’t constantly try to sell us something or “help” us. Instead, the islanders seemed genuinely friendly and our day on the island was stress-free. 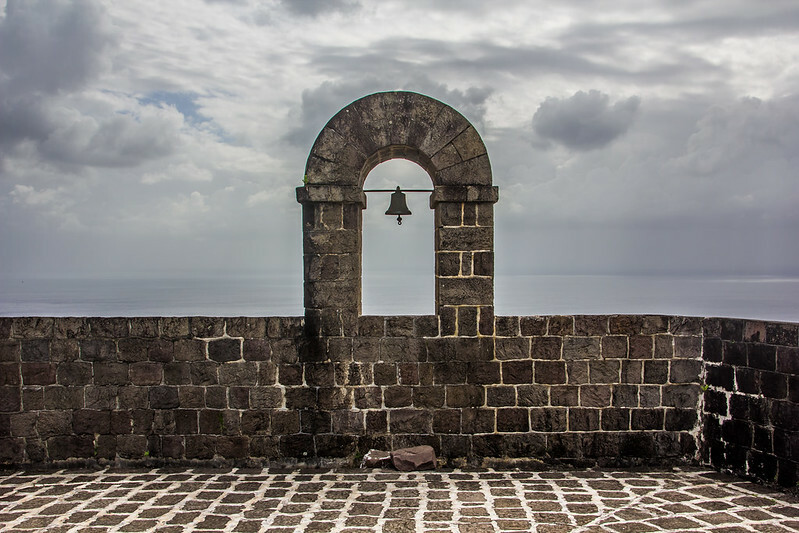 Our ship had anchored at Basseterre, the capital of Saint Kitts, while we still slept. 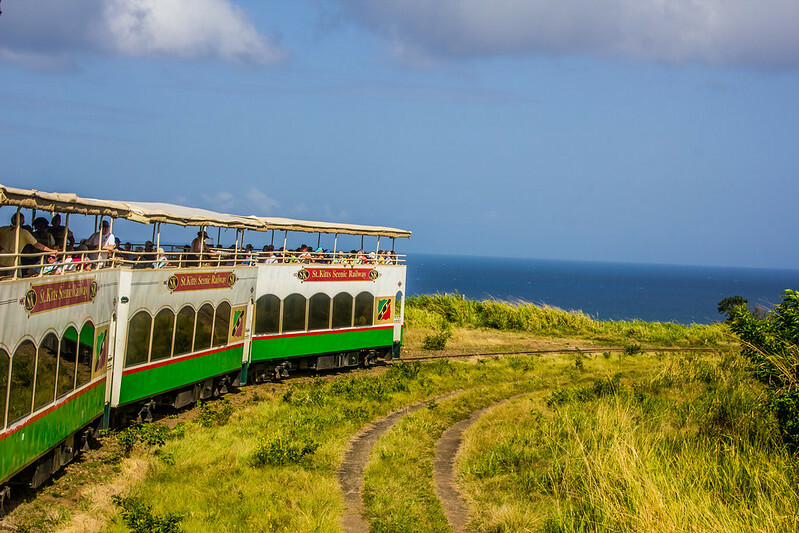 When we got out, multiple shore excursions were hustling around the pier at the same time, but we managed to find our contacts at St. Kitts Scenic Railway and get on a minibus. On the way to the depot, the driver showed us important sights around town: there’s the pharmacy, there’s an auto repair shop, that’s an empty commercial space if you’d like to start a business here, there’s a construction site where they’re building a business center. 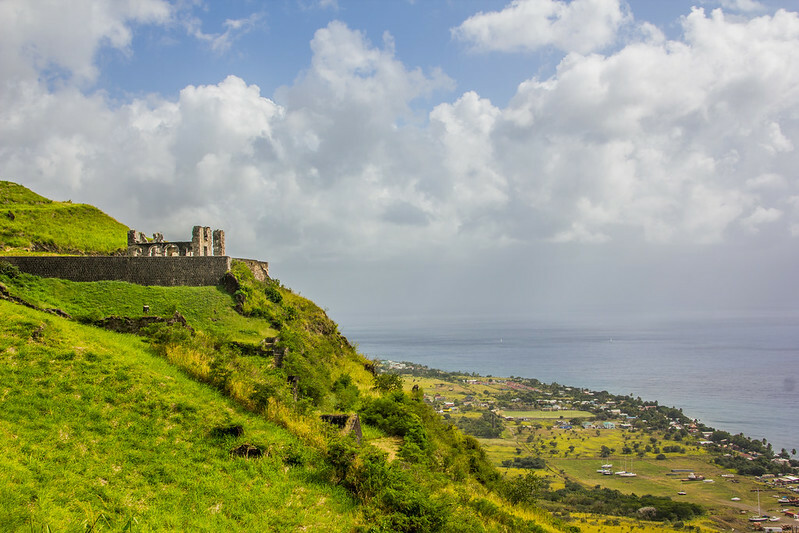 The latter was funded by the Citizenship by Investment program, which is meant for rich people to get St. Kitt’s tax status – there’s no income tax – and passport that allows visa-free travel to the EU. The train had an air-conditioned carriage, but we climbed to the upper deck to enjoy the views, as did everyone else on board. The wheels of the train screeched ear-piercingly as the locomotive slowly started us off on our journey. The morning was cloudy and slightly rainy, and that combined with wind from the movement of the train made me pull on a cardigan. The views were at first a bit desolate, industrial backyards and abandoned cars. The guide started off on her narrative, pointing out a local landfill. Ocean was constantly on our right side, deep blue and rough, and the volcano rose on our left with its peaks enveloped by clouds. Only later we’d start to see villages, gardens and islanders running errands. Would you like some piña colada? the train waitress asked us as the guide continued with excellent and detailed explanations of local culture and history. Everything here seemed to revolve around sugar. 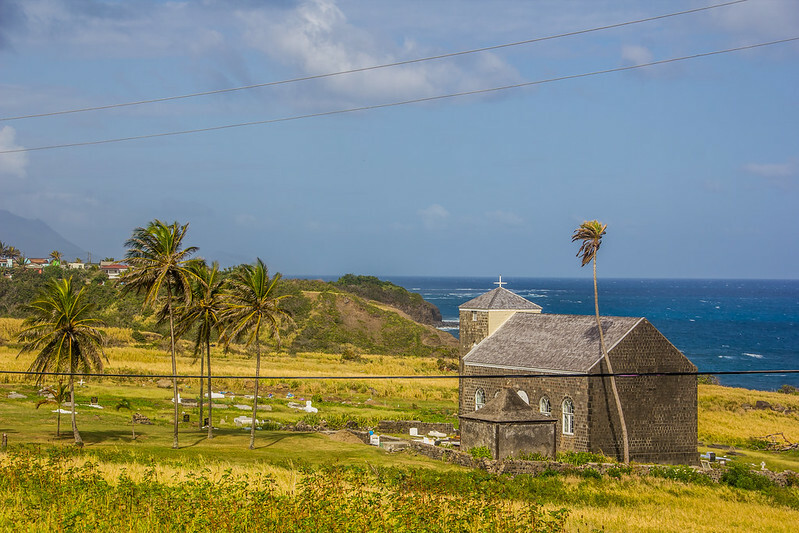 English and French farmers built sugar cane plantations here in the 17th century, and as the plantations grew so did the island’s slave population. 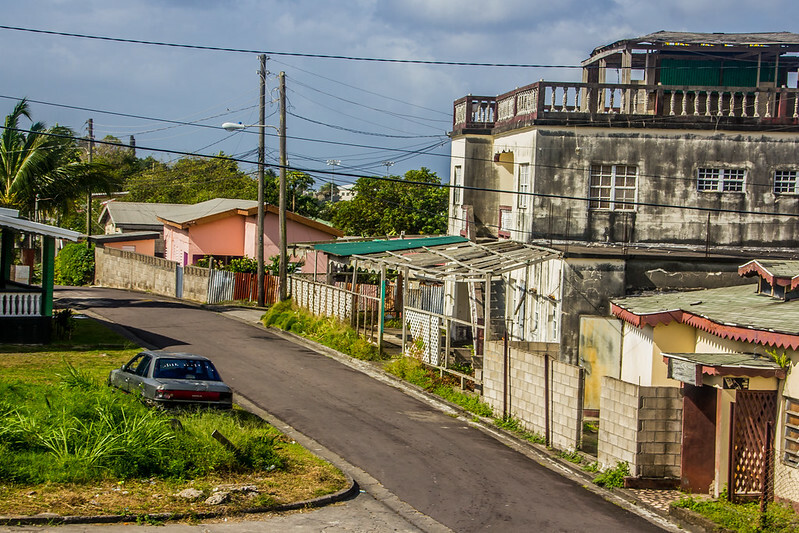 For the next 400 years, sugar was a key export of the island, basis for the whole economy, until last century arrived and it was no longer profitable, what with descendants of the slaves now demanding fair pay. 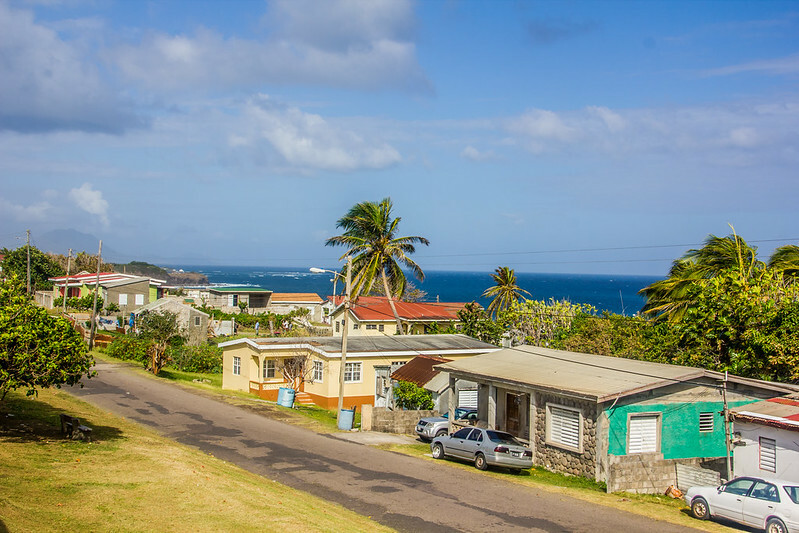 At some point, the plantation owners left the island and government took over, trying to keep the economy running, but in 2005, they had to admit defeat. Sugar cane production was stopped and thousands were left unemployed. 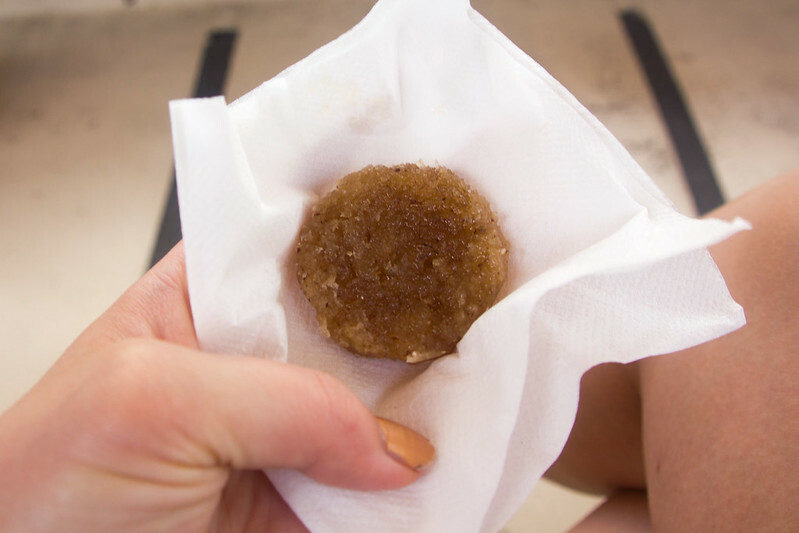 Sugar cake, a Kittisian dessert, was served on the way. Tastes like sugar! It turned out we also had sugar to thank for our train ride. 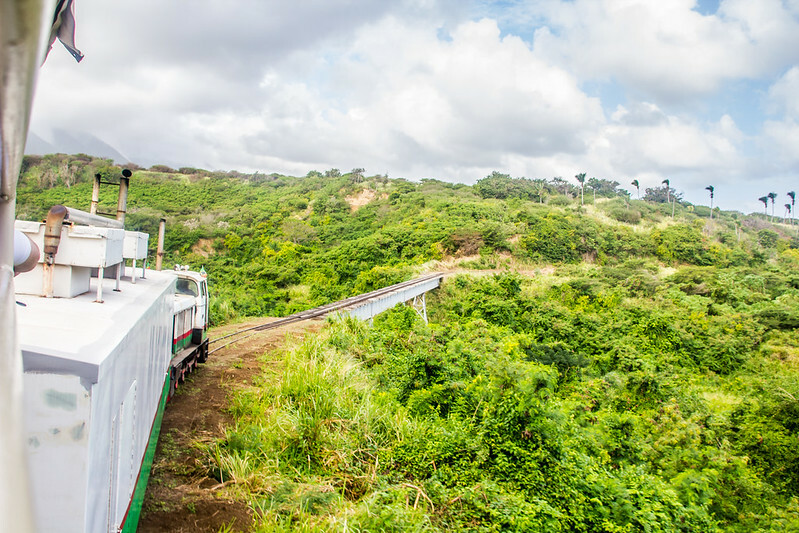 The tracks had been laid down to more efficiently transport sugar cane around the island, and only when the sugar industry had slowed down had tourists started using them for sightseeing. Now, we had the pleasure to take it easy on the train, listening to traditional Kittisian songs by the train choir, and take in the views as we sped past villages, fields, and schools where children rushed to windows to wave to us. 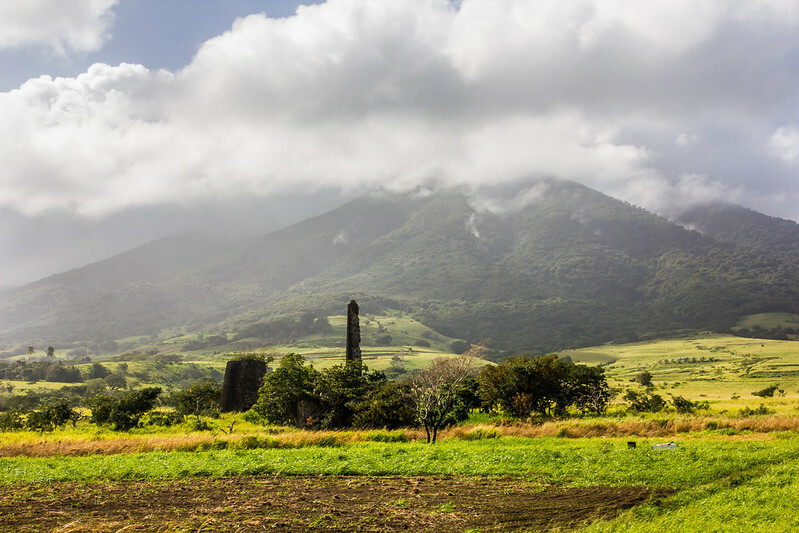 The wide and short black tower used to be a windmill for a sugar plantation. We saw many of these windmills on our way, all in ruins. Tracks don’t circle the whole island anymore, so after a couple hours of leisurely riding the train we were transferred back to mini buses. The same friendly and enthusiastic driver took care of us, talking about the island for the whole 45 minutes it took to get back to Basseterre and showing us sights on the way: a tree that had served as a border marker between French and English settlers, a home belonging to one of the government’s ministers (with a couple goats in the yard), a cemetery where US president Thomas Jefferson’s (purported, not proven) grandfather Samuel Jefferson was buried, and a river by which the Europeans back in the days slaughtered the island’s thousands of natives, and that flowed red for two days after the massacre. 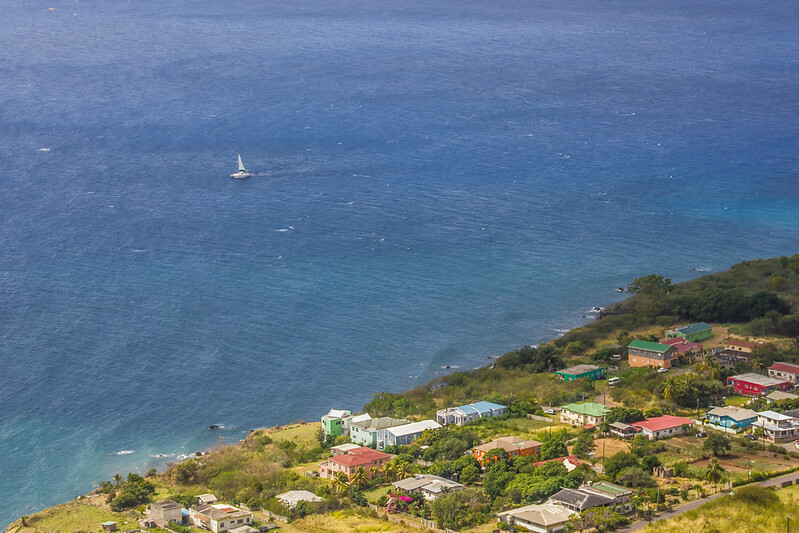 Back in Basseterre, we were feeling tired from the early wakeup. Our breakfast had been heavy enough that we weren’t hungry yet, but we figured we could use some ice tea and a quiet place to chill for a while. 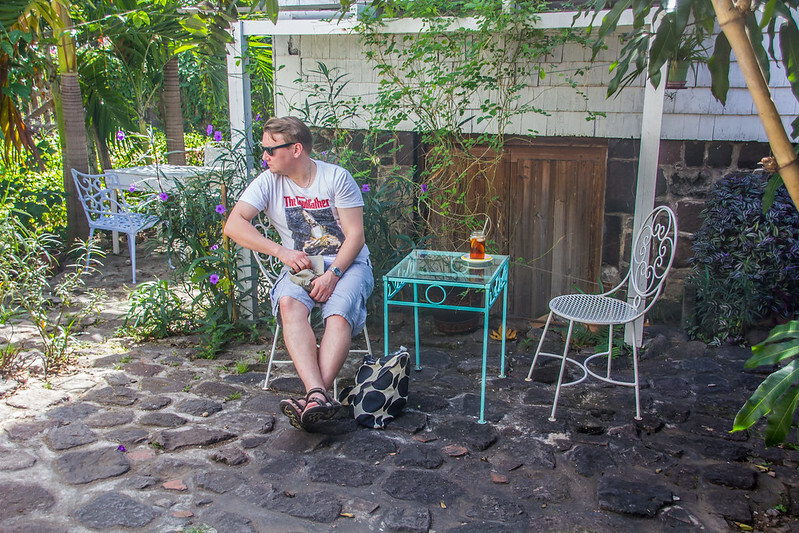 This we found at The Gallery Cafe (10 North Independence Square, Basseterre), just a couple blocks from the port, although in Basseterre, everything seemed to be just a couple blocks from everywhere. In the courtyard, there were only us two – and a small lizard, a dog and a green vervet monkey looking for something to eat. 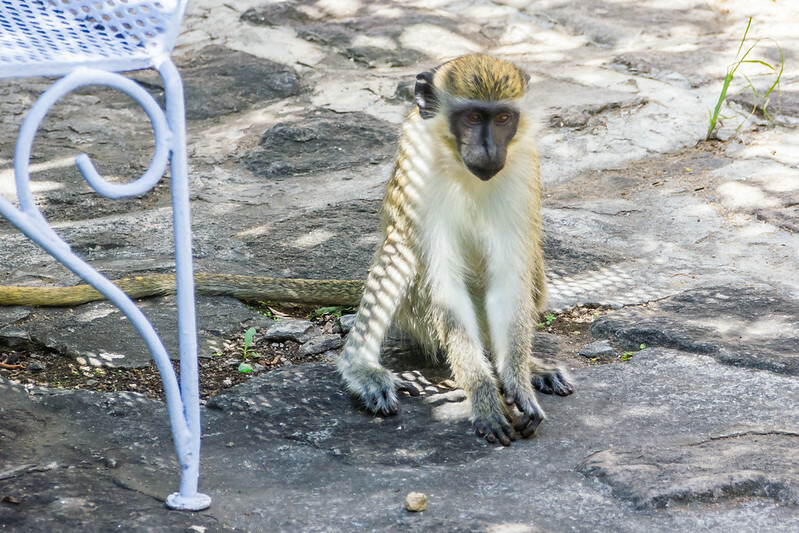 Green vervet monkeys were brought to Saint Kitts by the French, who intended them as pets. As you might guess from history, the “pets” were soon running wild around the island and thrived in its friendly environment. Now there are apparently as many monkeys on the island as people, and the islanders’ reactions towards them seemed to vary from nonchalant to irritated. Although many regard the monkeys as a nuisance, we couldn’t help but marvel at the creature that was sitting just a couple feet from us. 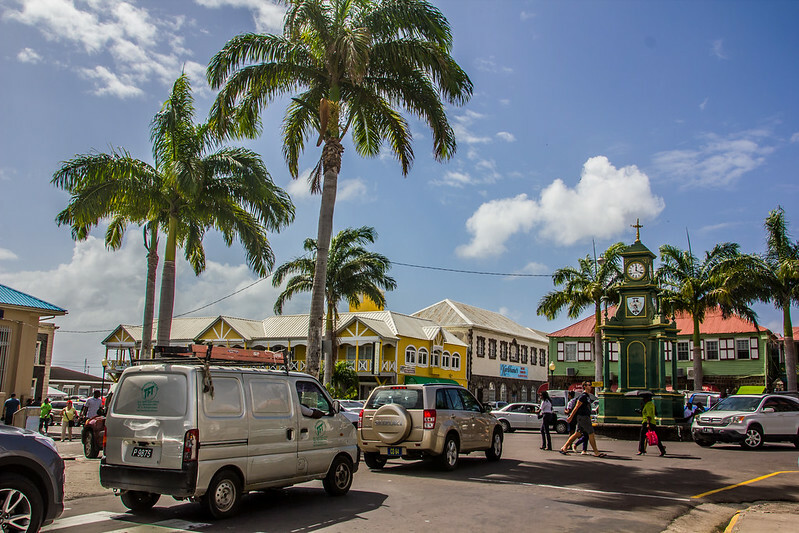 Downtown Basseterre with The Circus, a sure spot to find a taxi. We still had one sight left that we wanted to see: Brimstone Hill Fortress. 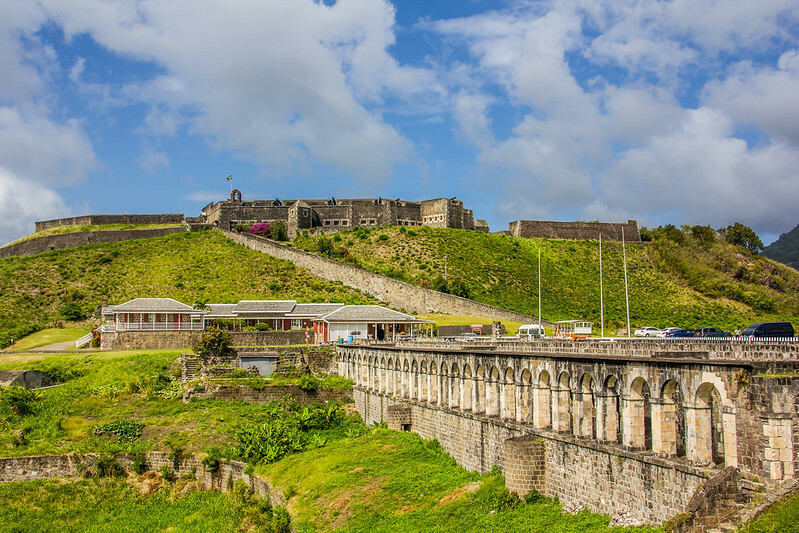 This 17th century military fortress the largest in East Caribbean and a UNESCO world heritage site, and we’d only caught a glimpse of it so far on our way from the train. Based on that, we knew it’d be a 25-30 minute ride one-way, and it would only be three hours until our ship was leaving. I’d harbored hopes we could get to the fortress via public transportation, but that seemed to not be an option. Our only reliable means of transport would be a taxi, which had a flat fee of $50 for the trip plus an hour’s wait. If we’d left in the morning, we could have probably gotten other tourists to split the cost with us, but at this point, we knew we’d be the only ones. Iiro suggested we’d just leave it. No way! 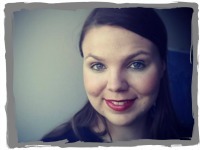 If we’d come this far – and we might not come again – then I sure wouldn’t leave a UNESCO site out of my collection. Afterwards Iiro admitted that the trip was worth the money and time. Brimstone Hill had magnificent views over the island and out to sea. No wonder the English had chosen this spot to build their fortress against the French: a black streaked lava mount with sides so steep that the trip up through the narrow turns was nerve wracking. 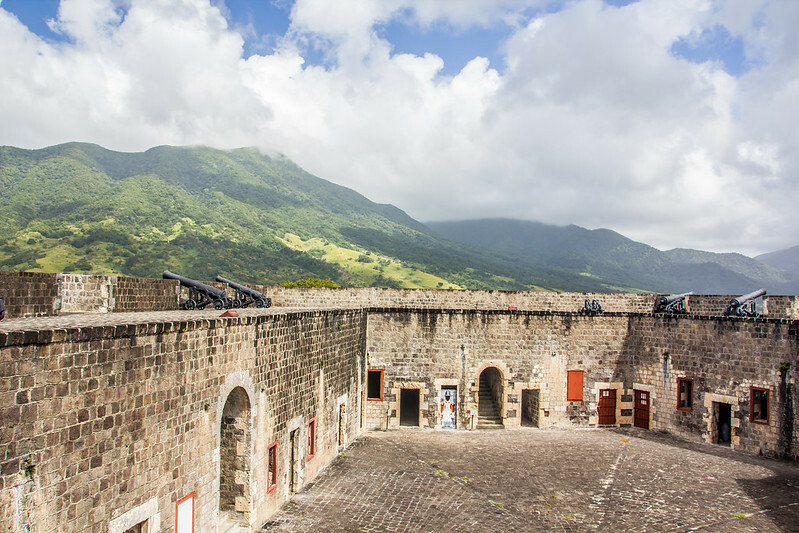 The fortress was either well preserved or well restored – probably both – and its exhibitions further brought the island’s history to life. One interesting detail was the British West India Regiment, which only enlisted black soldiers. Many of them were recruited from the ranks of slaves, which was a good deal for the men, as the life of a soldier was far easier than the life of a slave. 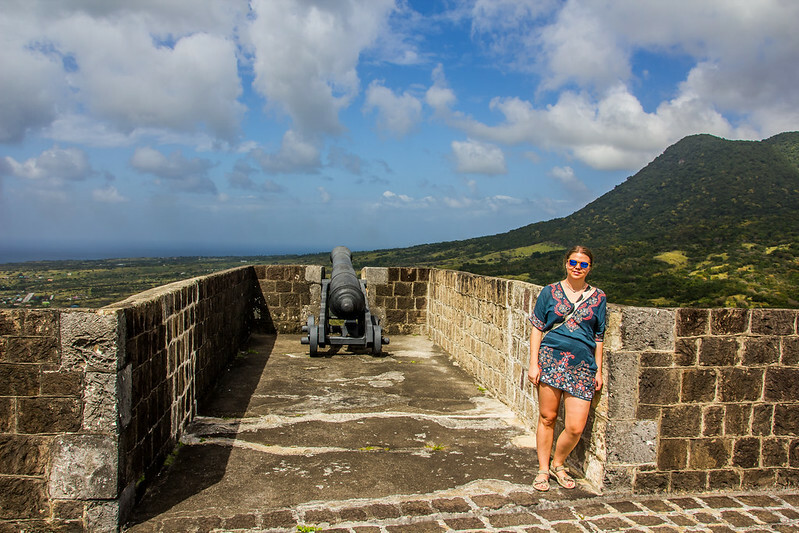 What did I think of Saint Kitts at the end of the day? 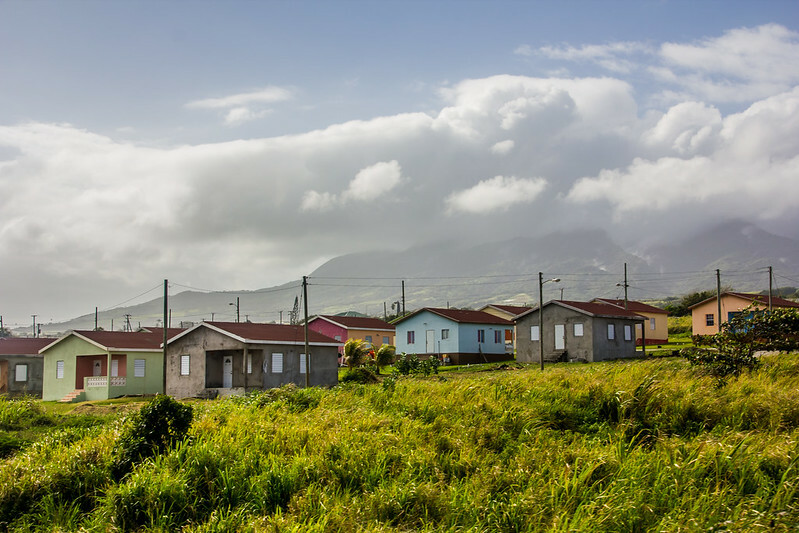 Out of the Caribbean islands we visited, Saint Kitts seemed the poorest and at the same time most expensive. 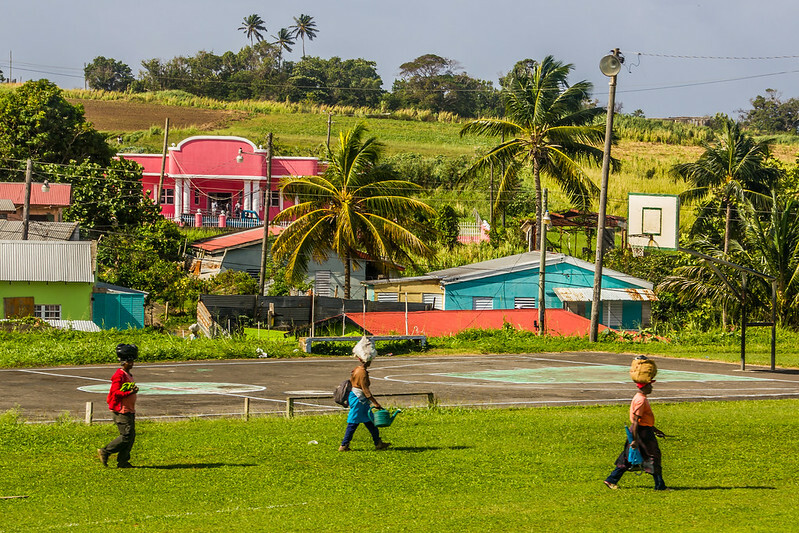 In GDP rankings, the country does rank better than some other island nations of the region, so our perception might be due to widespread corruption that several islanders we met were complaining about. 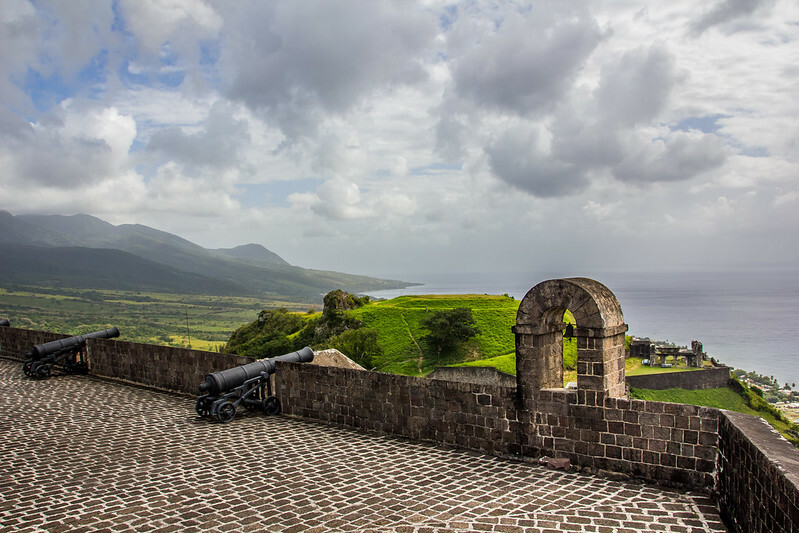 Saint Kitts is not the stereotypical Caribbean island, and maybe that is a reason to visit it. 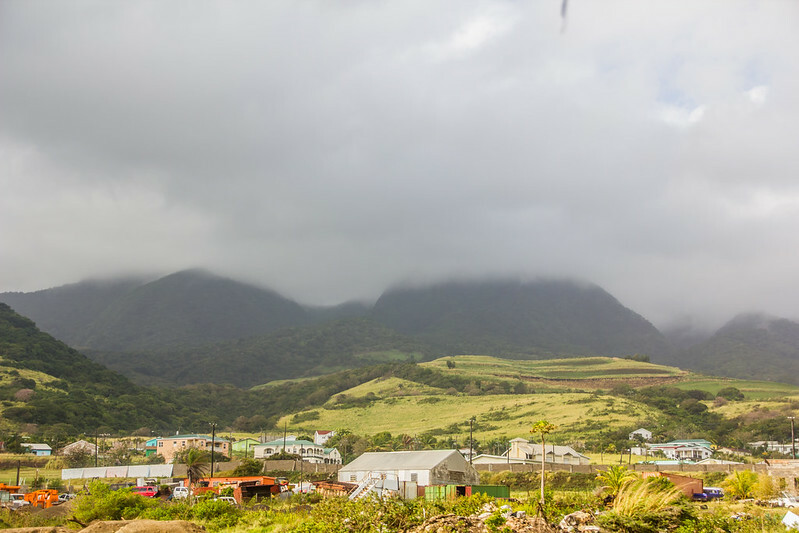 Even though Saint Kitts isn’t as developed from a tourist’s point of view as Barbados or Sint Maarten, people are friendly, we were treated well, and crime or tourist scams seemed nonexistent. I wouldn’t recommend it to a backpacker because of the prices, and someone looking for pure resort life might want to choose a more developed destination, but if you’re looking for “authentic” Caribbean, you might just find it here. 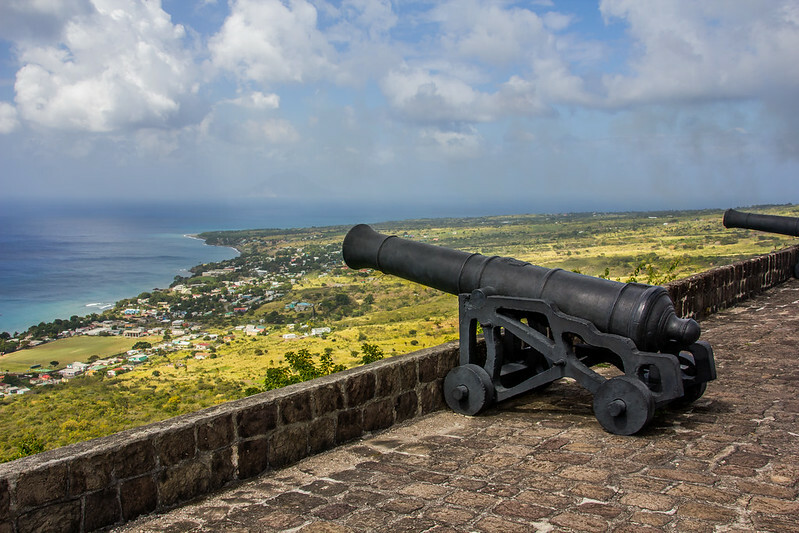 First and foremost Saint Kitts needs you and other tourists to get its economy back on its feet. Thanks to St. Kitts Scenic Railway for inviting us on the train ride. 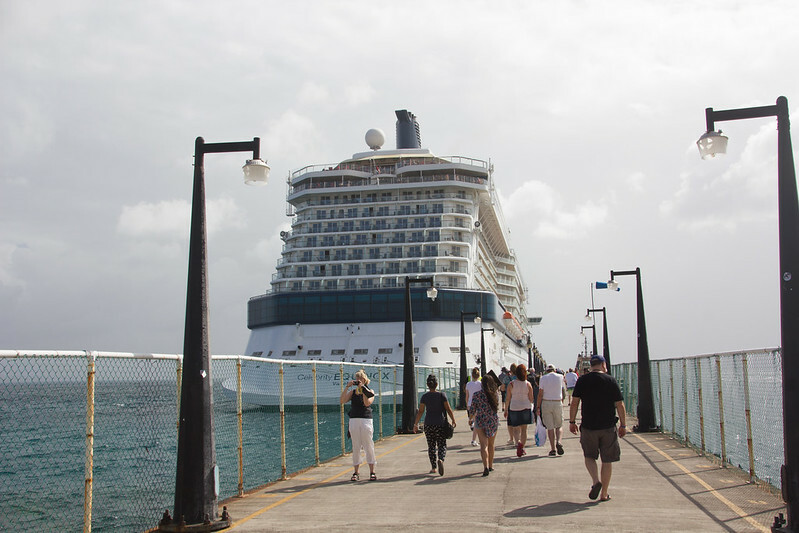 Cruise companies offer the train as a shore excursion, and hotel guests can contact the company through its website for reservations. Previous Post4 national parks in Colorado that are worth the trip!Next PostGoing to NYC this summer? Act now! Looks authentic indeed but where are the nice beaches? 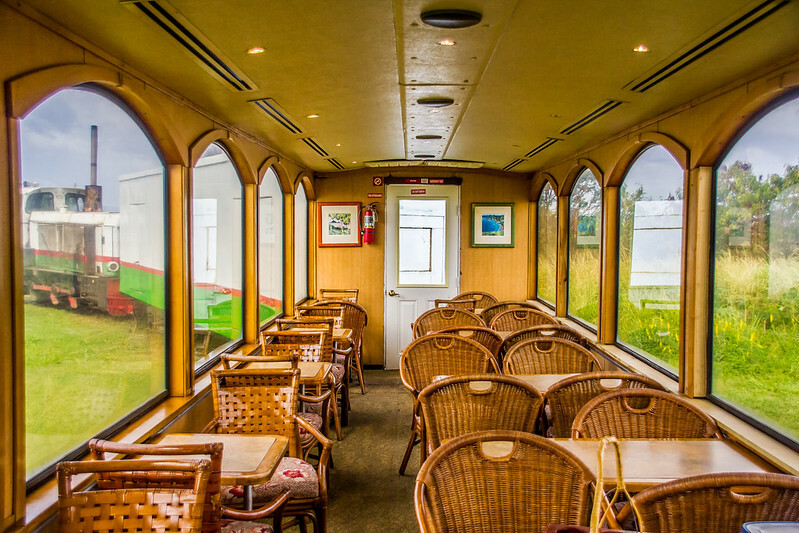 But the train ride looks like a great shore excursion from a cruise ship! Great pictures! It really looks authentic. Love all the pictures! Would love to visit it! Magnificent trip! The fortress and all the landscapes look so soothing. I’ve seen a little bit of the Caribbean and I always find the place so fascinating. Such an amazing mix of cultures. I’m looking forward to checking this place out. 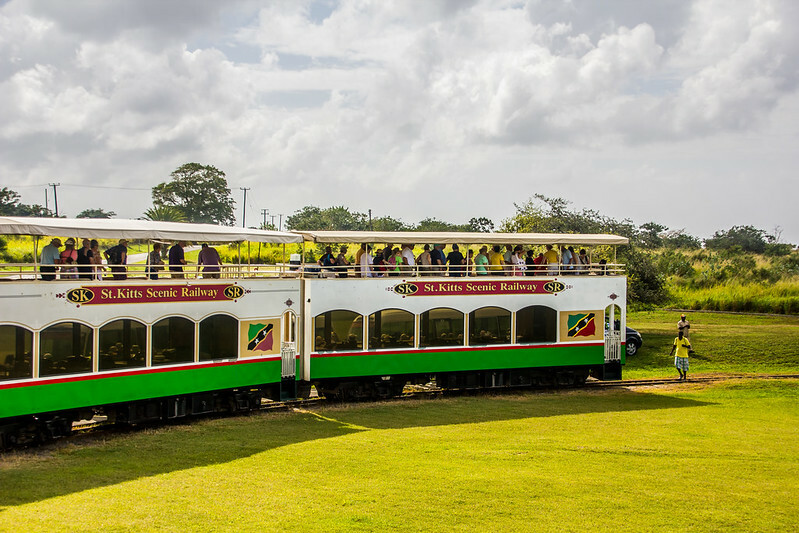 I did the St Kitts Scenic Railway trip in late December 2015. 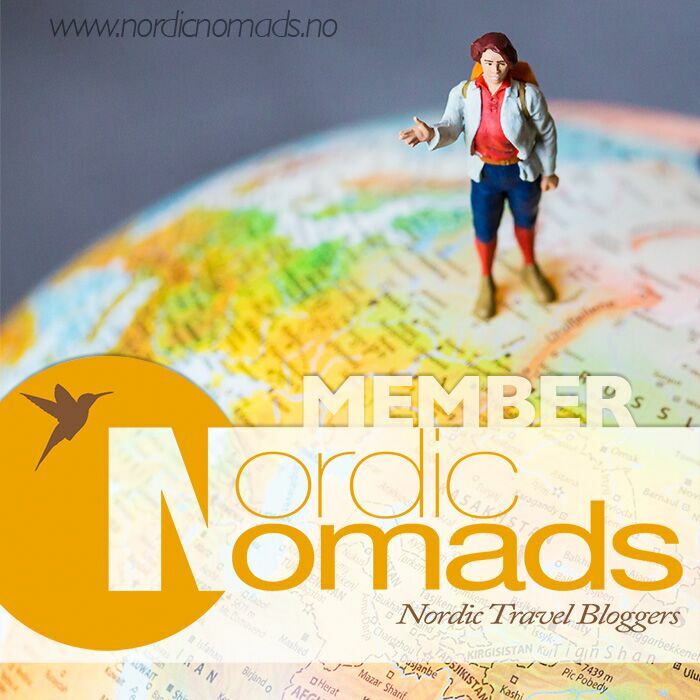 We booked directly with the company and had no problems at all paying with a UK credit card. With regard to the beaches, one side is Atlantic ocean and the other is Caribbean sea. There are white sand beaches with turquoise blue sea. Our hotel offered courtesy bus each day to the beach if it was required. I’m not sure you get the true feeling for the island by just spending a few hours off of a cruise ship. We took an island tour with a taxi driver $60 for around 5 hours, he showed us the real island, they are supremely proud of their island, understand wholeheartedly that their economy relies on tourism and for that very reason, they leave the natural beauty of the island to sell itself. Our taxi driver remarked that many of the houses appear to be unfinished (for tax reasons) but also because families often just accommodate married children in the newly built upper storey of their home hence they seem to constantly be adding to their dwellings. My one negative would be that there are vast amounts of unsightly rubbish dumped by roadsides and along the verges of the ‘scenic’ railway. However, is that because there’s no civic rubbish dump for people to use. For a nation so proud of their island, the rubbish was disappointing. I can heartily recommend a visit to St Kitts. 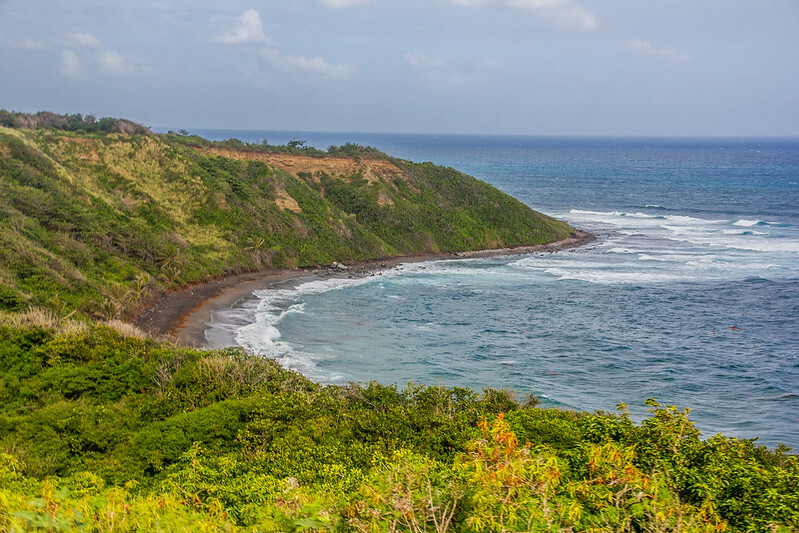 A week is plenty of time to have a few days relaxing and to cover all the main tourist options like Brimstone, a day trip to the sister island Nevis, Caribelle Batik, Basseterre, Black Rock, Frigate Bay (atlantic), Cockleshell Bay beach (caribbean). 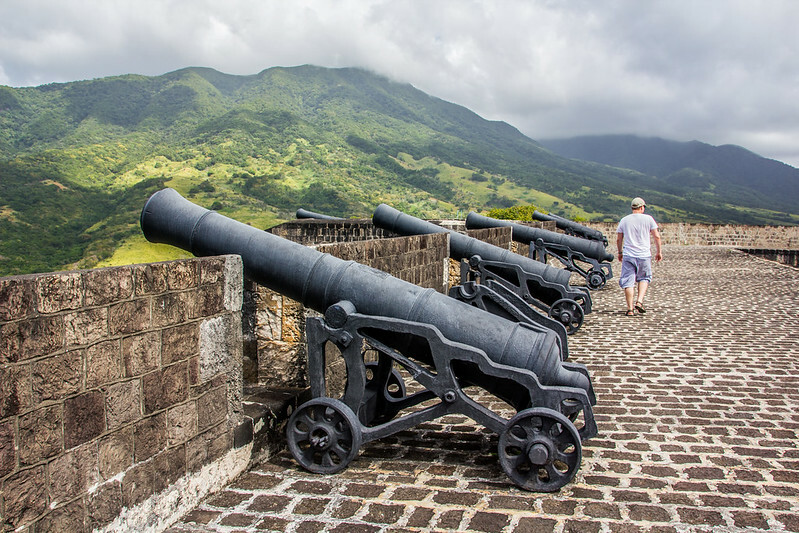 The Island of Nevis is certainly a hidden gem!